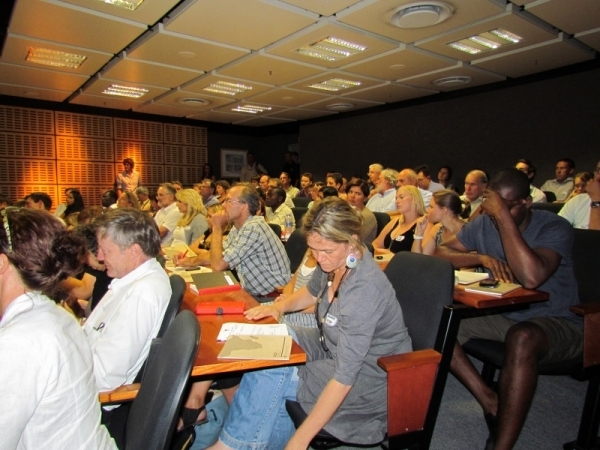 This was one of the questions raised at the jam packed COP17: What Happened and What Does it Mean discussions held at the University of Cape Town on Tuesday night. Lucy Jamieson from UCT’s Children’s Institute was referring to the negotiators at COP17 and questioning whether the ‘real’ issues were being tackled behind closed doors. South Africa recently hosted one of the its biggest international conferences ever – COP 17 and although the countries eventually came to a consensus, for many there are still unresolved issues and questions left unanswered. 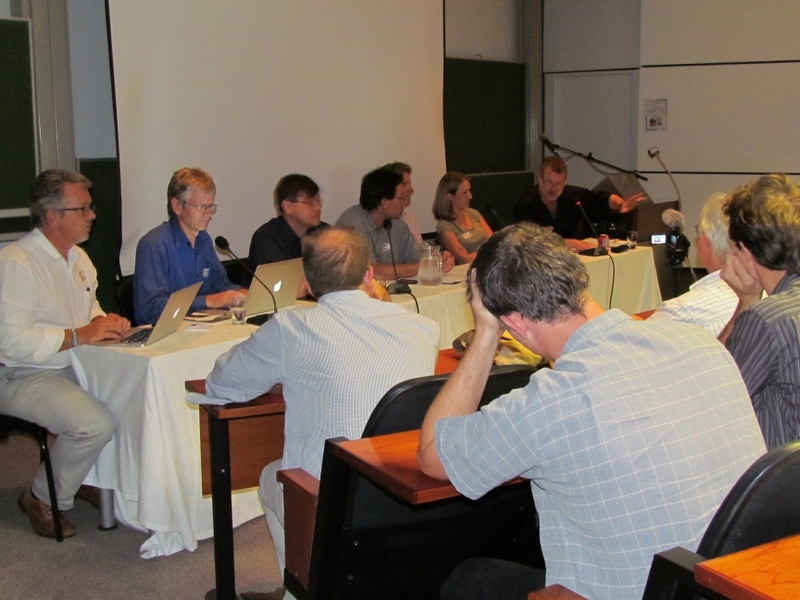 The discussion was convened by UCT’s African Climate and Development Initiative, the Cambridge Programme for Sustainability Leadership and Sustainable Energy Africa, with the purpose to bring together a panel of expert participants from COP17 to provide insight into outcomes and their implications at the global, African and South African levels. Stef Raubenheimer, Chief Executive Officer, SouthSouthNorth and Senior Associate of the Cambridge Programme for Sustainability Leadership said that he was personally tired of the same conversations. 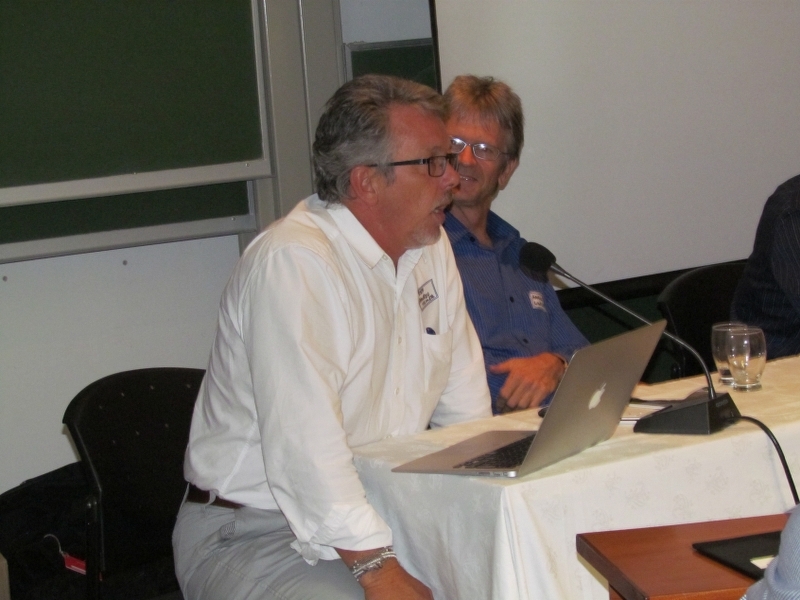 Professor Harald Winkler, Group leader: Energy, Environment and Climate Change at the Energy Research Centre, UCT, and member of the South African UNFCCC negotiating team was also one of the panellists of experts. He shared with the expectant crowd that over-filled the lecture hall of the Engineering Faculty his experiences from the other side of the line, describing Durban as a slow, tectonic shift. The negotiators agreed to continue under the Kyoto Protocol for a few more years. At the same time, a new agreement will be negotiated by 2015, taking effect from 2020. The negotiators put the Green Climate Fund (GCF) under multilateral control. And they also agreed on a 55-page decision on implementation under the United Nations Framework Convention on Climate Change (UNFCCC). He said mitigation actions by developing countries can best be described as less unambitious. 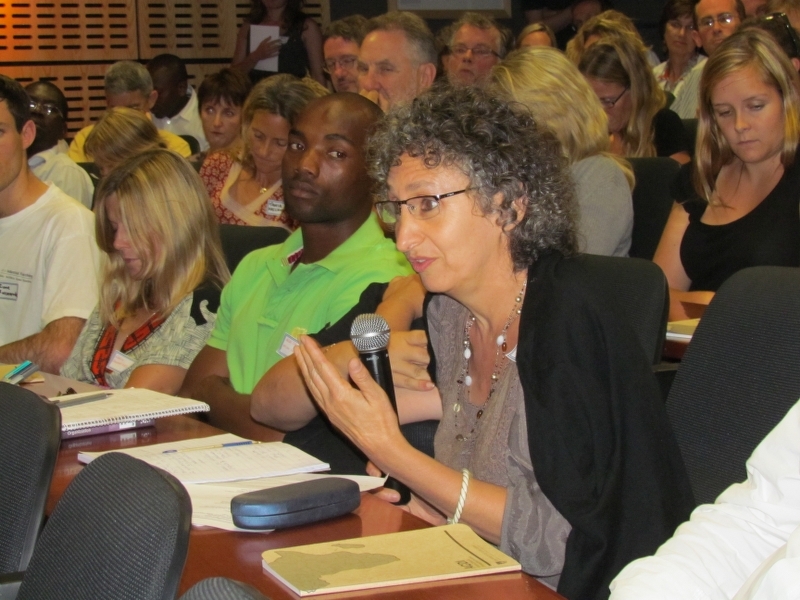 Peta Wolpe, Managing Director of Sustainable Africa, asked what was the way forward now for Africa and South Africa. “If we going to solve this problem all countries need to do more. It’s no longer good enough to pass the buck, even if your emissions are low. We can’t sit back and wait for the big countries to start and hope they will solve the problem. There is a need for a more sophisticated understanding when it comes to dealing with climate change,” said Prof Raubenheimer. The Adaptation Committee, according to Prof Midgely, is made up of 20 members – 10 from developed countries and 10 from developing countries. The committee will be responsible for national adaptation plans for developing countries. He said it was a very tricky process. “We have about three years left, so what is stopping us from taking action now? Everybody needs to take some form of emissions responsibility. COP has come and gone. It’s now up to us to take this further,” said Raubenheimer. This very animated debate, peppered with good homour, left me feeling informed and hopeful. Clearly this will be THE conversation of our time.